What a fantastic start to our second day of term. 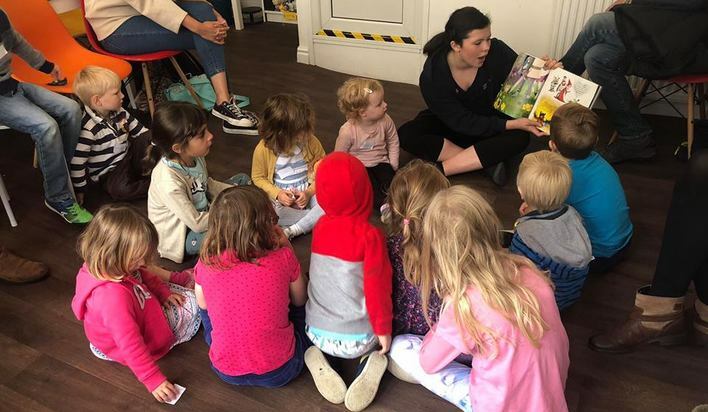 Here’s our Baby Beats / Toddler tunes with our Musical Theatre-Golden Gliders. So brilliant that 97 year old Mary is still dancing in our new academic year. Don’t worry all Baby/ Toddler parents, we realise there was a mix up with the start date. Hope to see the rest of you who have enrolled, next week. 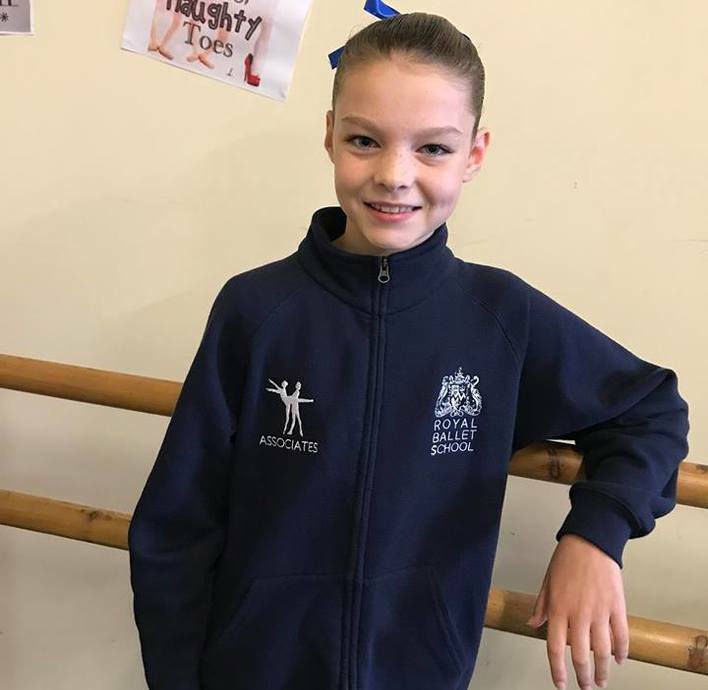 Sophie is a former pupil of Kirkham Henry, attending from the age of three until eighteen taking part in a variety of classes. 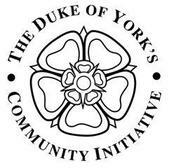 Alongside this she also trained at the Yorkshire Ballet Scholarship Centre. Sophie performed in many competitions and amateur productions including: The Nutcracker (Clara); Cinderella (Summer Fairy); Coppélia (Prayer), Giselle (soloist in the Dance of the Wilis); Snow White and the Seven Dwarfs (Sleepy); Robin Hood (one of his merry men); Starlight Express (Nintendo); CATS (Rumpus Cat); FAME (Iris) and Oliver (Bet) to name a few. 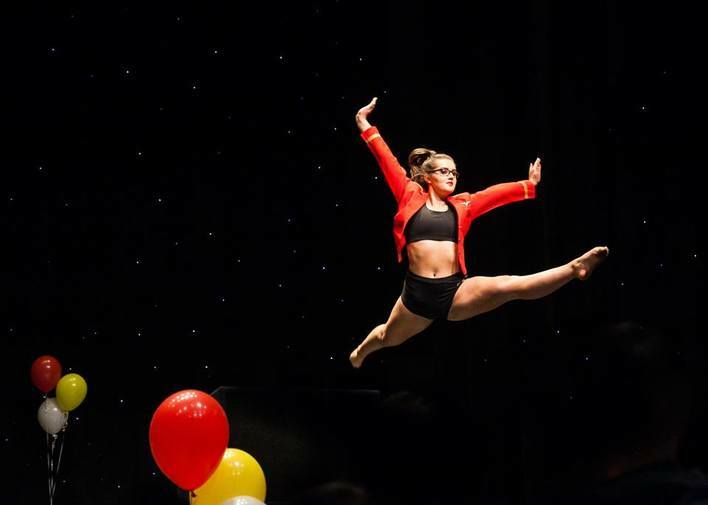 After gaining places at vocational musical theatre schools such as Bird College and Urdang Academy, Sophie decided that her passion was in teaching and has recently graduated from the Royal Academy of Dance (RAD) with a BA (Hons) Ballet Education; Licentiate of the RAD (LRAD) and Registered Teacher Status (RTS). She has recently become an Associate of the Royal Academy of Dance (ARAD) after passing her Advanced 2 RAD ballet exam. 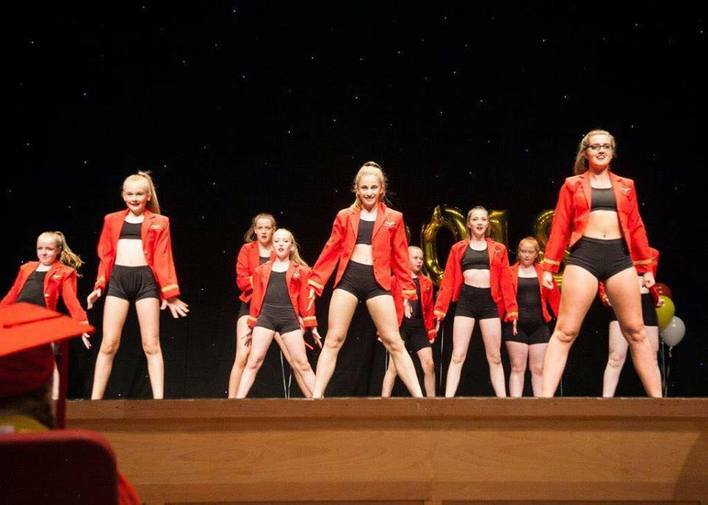 The RAD has provided Sophie with many opportunities such as: dancing to Strictly Come Dancing’s theme tune on the One Show; dancing in the Parade and Finale alongside Darcy Bussell in The Patrons Lunch celebrating the Queens 90th Birthday; dancing in a Taylor Swift flash mob on BBC1 Let’s Sing and Dance for Comic Relief. Alongside her studies Sophie taught at various dance schools across London, with most students achieving distinctions and a few with merits in their ballet exams. 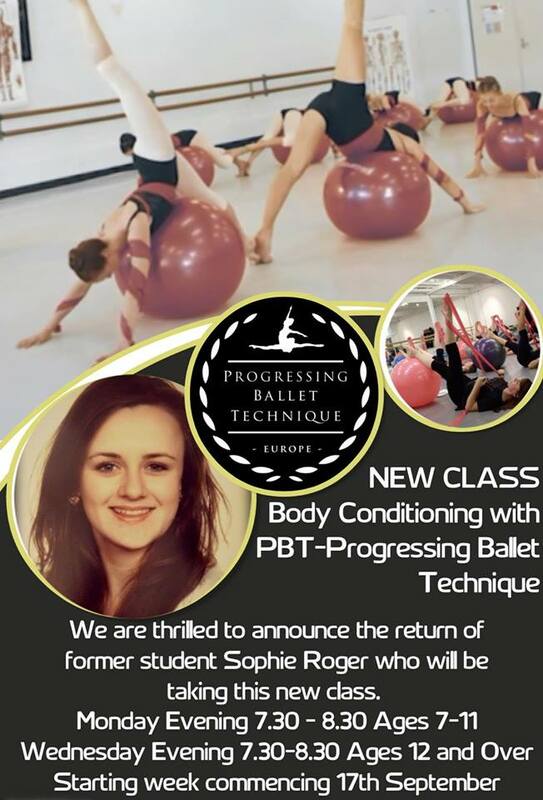 She recently became a certified teacher of Progressing Ballet Technique (PBT). Sophie has enjoyed the past three years in London but pleased to be back up North teaching at Kirkham Henry.s text to edit it. Sunday morning smiles- Fantastic news from Leo. Congratulations Leo and all the best from KH. It’s now been a YEAR since I left Trinity Laban! (It feels like yesterday when I performed at the Milton Rooms in my last RYT ‘Starlight Express’!) In that year, I did my first job, the ‘Thursford Christmas Spectacular’ and have been auditioning for many shows/projects and cruises, all whilst holding 3 jobs - working front of house on ‘Dreamgirls’, working as a children’s entertainer and dog walking! I’m delighted to have not only been asked to return to perform in this year’s ‘Thursford’ but literally 8 days after my contract finishes there, I’ll be flying out to Hamburg, Germany to rehearse to be a lead vocalist on the beautiful AIDAstella! AIDA Cruises are a German Cruise company and their ships are truly beautiful! Within the Musical Theatre industry, the company is very well respected, so is another great credit to add to my CV! The cruise is only 6 months long, which is a really nice length to be travelling on the open seas. To all those who are thinking of pursuing a career in Musical Theatre, just remember that it takes a lot of hard work, rejection and dedication, but when you get what you want to do, it is the most wonderful career! 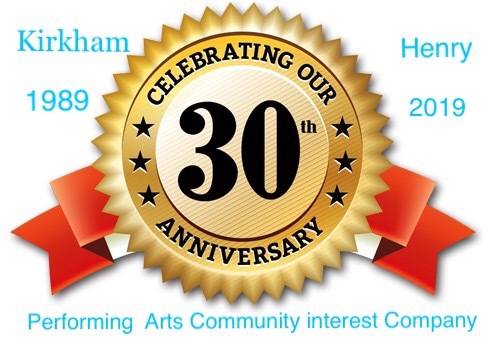 I’m so excited for the next 10 months to be doing what I love, and I wouldn’t be here without my performing beginnings at Kirkham Henry and RYT. 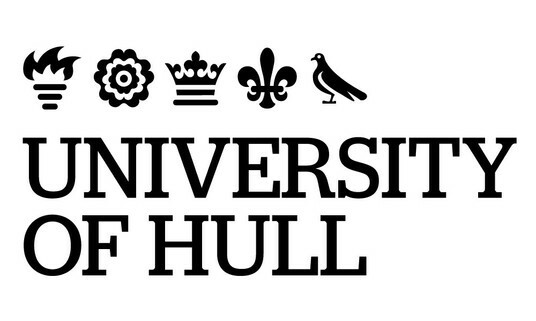 Enjoy your next academic year, continue to work hard and remember, to always have a good time! 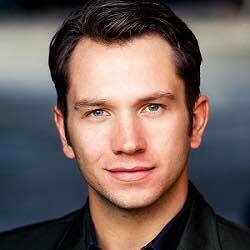 Brilliant news of former pupil Scott Garnham. Well done. Casting has been announced for the return of Nativity! the Musical. Simon Lipkin will return to play Mr Poppy after starring in the show last year. Adam Thomas will take on the role of The Hollywood Producer, while Scott Garnham will play Mr Maddens and Ashleigh Gray will play Jennifer Lore. 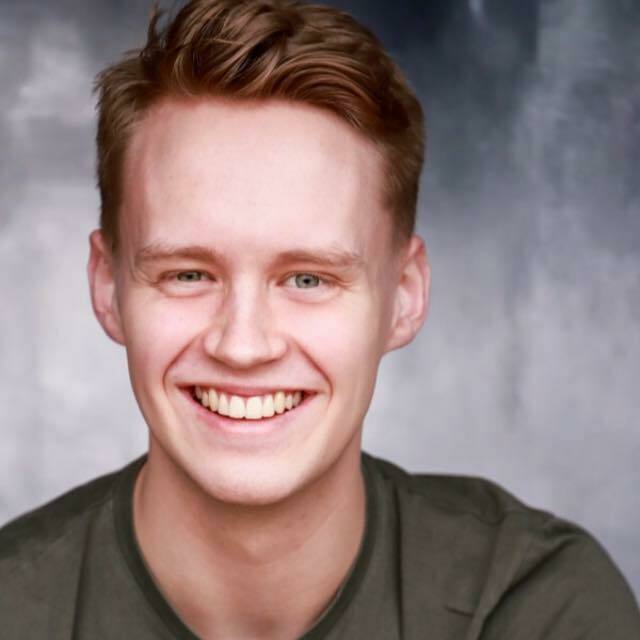 Scott trained at The Royal Scottish Academy of Music and Drama before which he attended Kirkham Henry Performing Arts. Theatre credits include: Tony in Billy Elliot (UK Tour & Germany) directed by Stephen Daldry, Baron Felix Von Gaigern in Grand Hotel (Southwark Playhouse), Edgar Beane in Titanic (Princess of Wales, Toronto), Buddy Cortina in Made in Dagenham (Adelphi, West End), Feuilly, understudy Enjolras and Marius in Les Misérables (Queens, West End), I Can’t Sing (London Palladium, West End), J.Pierrepont Finch in How To Succeed in Business Without Really Trying (City of London Festival), Jest End (Waterloo East), The 25th Anniversary of Les Misérables (O2 Arena), Jose Reize in Never Forget (UK Tour), Ronan Corr in Eurobeat (Novello, West End), Jason in Jason and the Argonauts (New Victory, New York), Billy in The Rise and Fall of Little Voice (UK Tour), Hunter in [title of show] (UK Premiere, Landor), Mr Lindquist in A Little Night Music (Yvonne Arnaud), Billy in Around the World with Billy Brite and the original cast of Honk! The Ugly Duckling (Stephen Joseph). 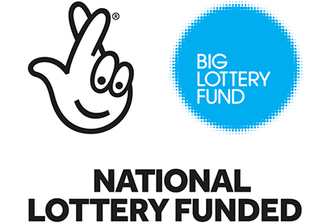 TV credits: Pompidou (written and directed by Matt Lucas), The National Television Awards, Ant and Dec's Saturday Night Takeaway, Tonight at the London Palladium and Children in Need. Workshops include: Flowers for Mrs Harris (Old Vic), Joe Bloggs (Pozzitive Television) and Pieces of String (Perfect Pitch). 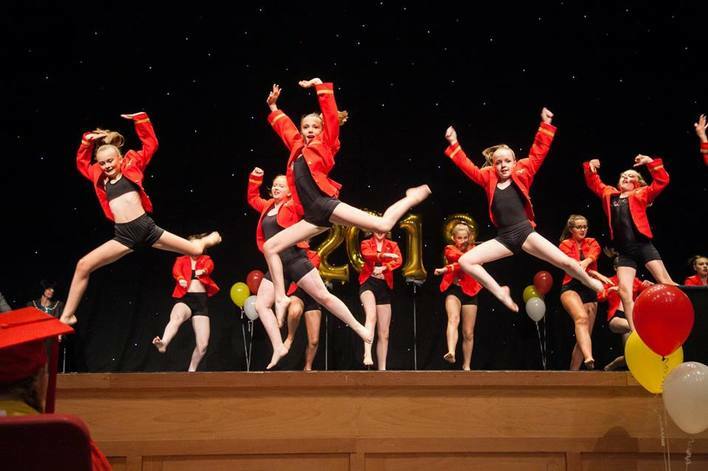 Just in -these great photos from The Children’s University of our dancers who opened the Graduation ceremony at Scarbrough Spa before Summer holidays. 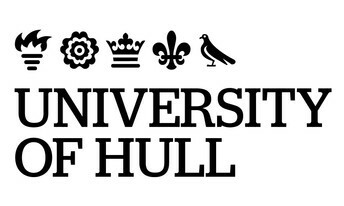 As a learning centre and part of the University of Hull we’re very proud and were honoured to be asked to take part. Here’s Eloise just back from her first class as a junior associate of The Royal Ballet School. Not wanting to be late for her tap class at KH, Eloise changed in the car ! On top of that, last Sunday Eloise was in York hospital with suspected kidney stones! Yes that’s dedication for you. 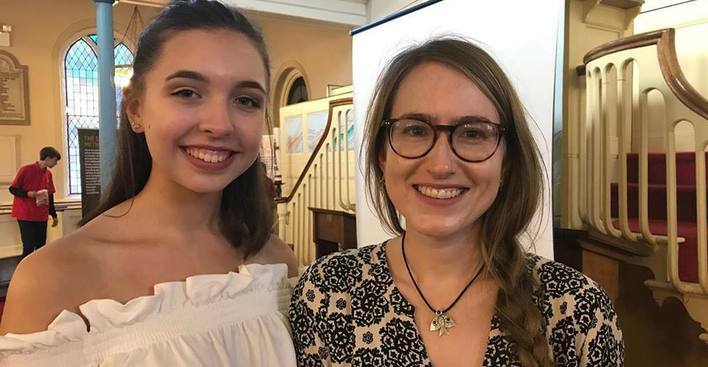 Congratulations to Pupils Abi and Hermione who took part in Ryedale Book Festival. Abi read Sir Scaly Pants the Dragon Knight - by John Kelly at Peagreen Pottery. Hermione did a Q&A session with author Sarah Driver talking about her new book, Storm at the Wesley centre. Thank you to everyone for giving the girls this wonderful opportunity. Both girls loved their classes and made it back to KH to dance even more. Here’s one of our pre-primary classes looking scrumptious. 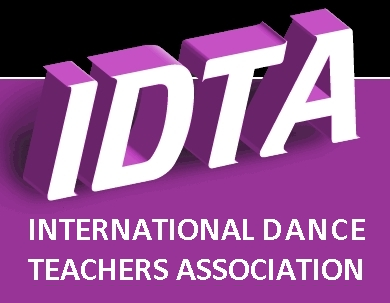 No wonder teaching dance is one of the most rewarding vocations. One of our exceptionally hard working vocational ballet classes having a photo pause during class for a well earned rest! 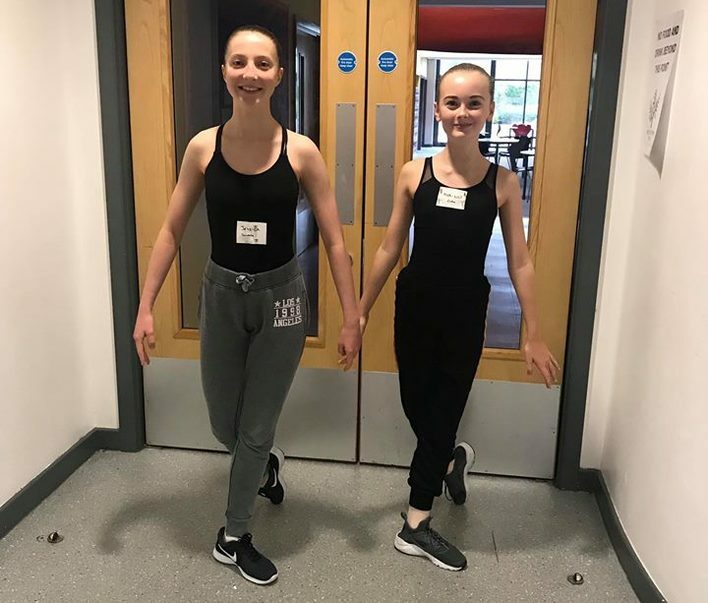 We are thrilled to announce our Head pupil for 2018/19 is Alice Ahearn with Holly Hargreaves as Deputy Head pupil. Both girls were voted on by our seniors and everyone congratulated the girls with genuine pleasure when it was announced this evening. Well done girls you will both be wonderful ambassadors for KH. 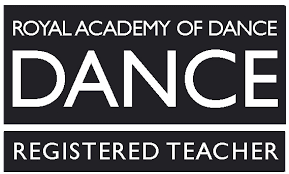 We can now add the official Royal Academy of Dance logo for Silver Swans to our Adult dance classes. Silver swans classes help improve mobility, posture, coordination and energy levels and, most importantly, impart the sense of wellbeing that dance brings. Although KH runs numerous adult classes including Ballet beginners and advanced Miss Angela thought being able to use the RAD Silver Swans logo would be an extra advantage. 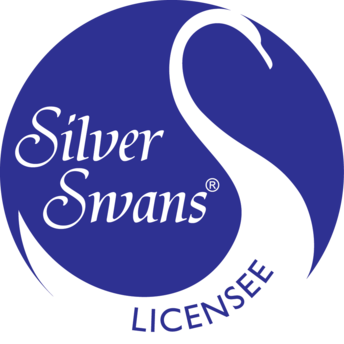 Our Golden Gliders adult ballet Wednesday 2.30pm will now combine with Silver Swans. Everyone is welcome, especially if you’ve never danced before. It’s a drop in class to attend whenever you can but with no worries if you can’t make it every week. Wear whatever feels comfortable. 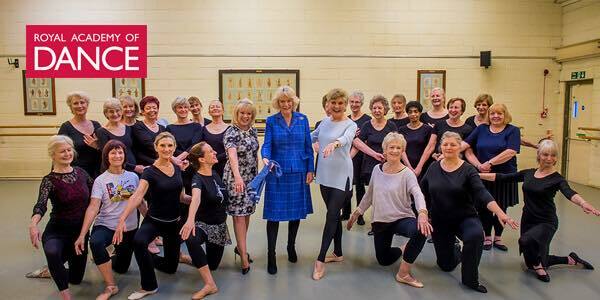 'I’m absolutely delighted to be the Ambassador for Silver Swans, having been involved in dance for many years, both professionally and in my private life. 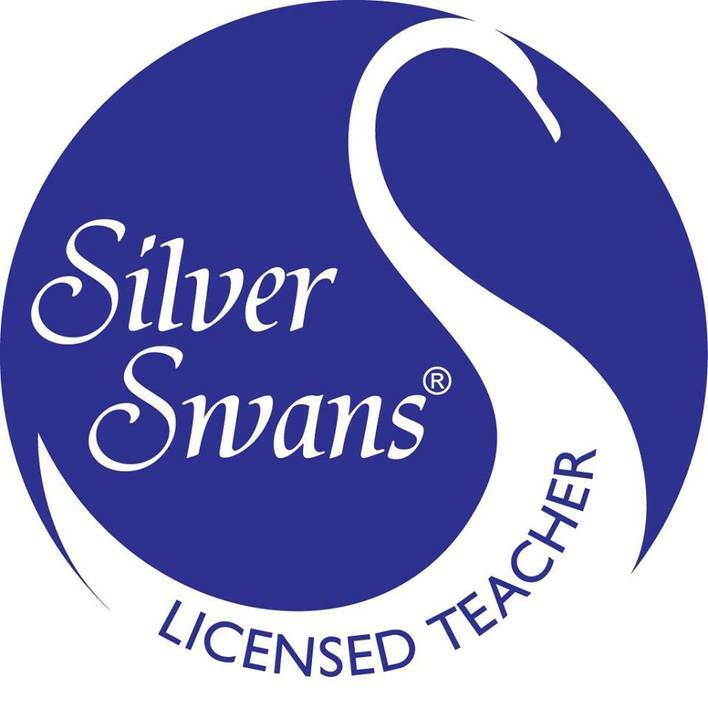 Silver Swans classes are delivered by qualified dance teachers who have undergone specialist training on how to safely adapt ballet teaching techniques and content for older adults. 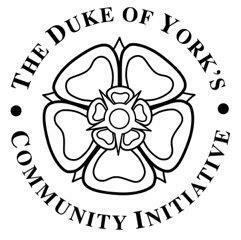 The training focuses on how to deliver a high-quality ballet class for adult learners of all ages, equipping teachers to recognise and respond to the different needs of participants of a broad age range.